Deccan Habitat in Yeshwanthpur, Bangalore North by Deccan Group is a residential project. 10 80 10 and get 4L discount on immediate booking.  The size of the Apartment ranges in between 1100.0 sq.ft. and 2400.0 sq.ft. Deccan Habitat price ranges from 94.50 Lacs to 1.87 Cr. 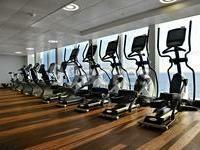 Deccan Habitat offers facilities such as Gymnasium and Lift. This is a RERA registered project with registration number PRM/KA/RERA/1251/309/PR/180208/002313. Bank loan approved from HDFC home loans, ICICI, State Bank of India, Punjab National Bank, SBI Home Loans, LIC Housing Finance Ltd. and Dewan Housing Finance Corporation Limited (DHFL). It is a new launch project with possession offered in Dec, 2020. The project is spread over a total area of 1.55 acres of land. It has 67% of open space. Deccan Habitat has a total of 3 towers. The construction is of 8 floors. An accommodation of 96 units has been provided. Deccan Habitat brochure is also available for easy reference. The real estate market of Bangalore is mainly end-user driven and that is one of the major factor that the market has is witnessing only positive growth. The increasing number of start-ups along with investments from IT firms translates to a number of jobs and professionals moving into the city. This along with other factors like education and health facilities, the connectivity between major business parks and proximity to residential locations and improving infrastructure makes Bangalore an attractive real estate destination. Pleasant weather conditions is another positive for buyers in the real estate market. What is the location of Deccan Habitat?The location of the project is Yeshwanthpur, Bangalore North. What is the area of apartments in Deccan Habitat? 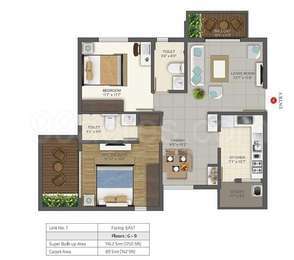 The area of apartments offered in the project ranges from 1100.0 sqft to 2400.0 sqft. 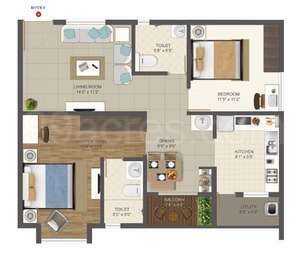 What is the area of 2 bhk in Deccan Habitat? 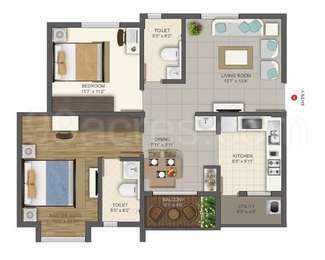 The size of a 2BHK unit in the project ranges from 1100.0 sqft to 1250.0 sqft. What is size of 4 bhk in Deccan Habitat? 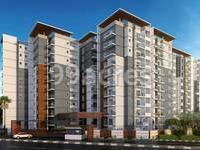 The area of 4 BHK apartments ranges from 1950.0 sqft to 2400.0 sqft. What is the area of Deccan Habitat?The total area that the project occupies is 1.55 Acres. or in the near future.